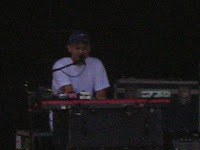 Plochmann Lane: Ollabelle's keyboardist / vocalist Glen Patscha. Winnipeg native (now NYC) Glen Patscha is someone we have very much connected with (obviously on a limited basis) as he is recently married & he & his wife are soon expecting. We too are recently married (not yet expecting though) & we have shared w/ him the trials & successes w/ being a young couple in a financially troubled business world. He too is one of Ollabelle's co-vocalist, plays accordian & frequently has a Garth Hudson-esque keyboard sound. 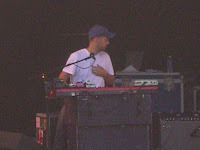 He played pump organ on Levon Helm's Grammy winning Dirt Farmer album.